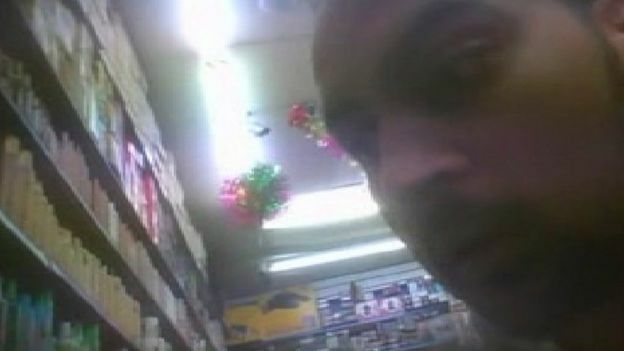 Illegal skin-whitening creams are being sold by high street cosmetics shops despite a number of prosecutions, a BBC undercover investigation has revealed. Shaba Hair and Cosmetics stores have been fined for dealing in creams containing hydroquinone but researchers found outlets continuing to sell them. Products containing hydroquinone can damage the liver and nervous system. Trading Standards officials said there was “no excuse” for selling the creams. Shaba declined to comment. Skin-lightening products containing hydroquinone are widely used throughout India and sub-Saharan Africa – although some countries have outlawed the ingredient. Shaba director Banaras Hussain has been prosecuted for selling the banned creams at his shops on three previous occasions – in Enfield, Dalston and Peckham. He was fined £11,792 over the Peckham sales alone, and is due in court on 1 April for sentencing after pleading guilty to 33 offences related to the Dalston shop. But after a tip-off, the BBC found Shaba outlets continuing to deal in banned skin lightening creams under the auspices of Mr Hussain. At Shaba Hair and Cosmetics (Peckham) an undercover researcher was sold a jar of ‘Caro Light’ cream priced at £9.99 that listed hydroquinone as an ingredient. Manufactured in the Democratic Republic of Congo, when tested it was found to contain 4.6% hydroquinone – more than twice as powerful as the strongest medicine containing hydroquinone licensed for prescription for medical purposes by a UK doctor. In response, Mr Hussain tore off the name and address of the shop before handing the receipt over. 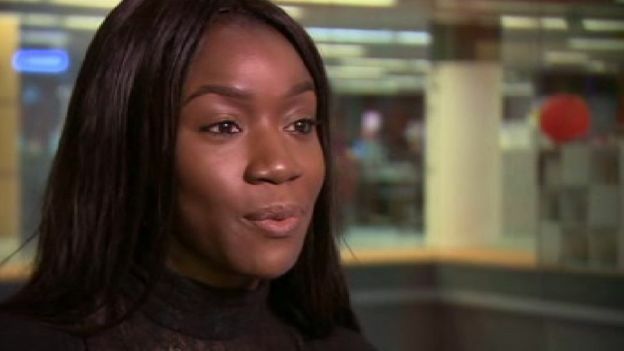 At Shaba Cosmetics Ltd in Dalston, a member of staff informed the BBC that three products displayed on the shelves contained hydroquinone – despite it not even being listed as an ingredient. The worker admitted the sale of the product was not allowed. Two of the creams were subsequently found to contain the chemical. When confronted with the evidence, Mr Hussain made no comment. Sarah Oladokun, a 19-year-old beauty blogger from Peckham, used skin-lightening creams when she was younger. She said: “My skin became patchy, very uneven, which then caused problems for me because I didn’t know how to balance it out. “So instead of me stopping I would continue to put more on the darker areas. Dr Anjali Mahto, a consultant dermatologist at the British Skin Foundation, warned: “It’s really worrying actually. You’re liberally applying these treatments, and you don’t know how much of these chemicals are contained within them. Paul Gander, team leader of Southwark Trading Standards, said he would expect to seize about 1,000 products on a typical period of enforcement action. “In Southwark we’ve done test purchasing and in about 50% of the shops they appear willing to sell it if pushed,” he said. Within the framework of the Egyptian delegation’s visit to Somalia, which is headed by the Assistant Foreign Minister for African Affairs, Ambassador Mohamed Idris, the delegation arrived in Hargeisa Capital of Somaliland region, on April 5th, 2016. Assistant Foreign Minister stated that the delegation met with the Minister of Trade and Investment in the region, officials in charge of the economy and the Minister of Agriculture. The delegation also met with the president of the region and a number of ministers and officials supervising several vital areas, as well as conducting several field visits. It should be noted that Egypt is seeking to outreach, cooperate and foster solidarity with the Somali people in all Somali regions, within the framework of the official Egyptian stance, which supports the Somali people’s choices and the Federal Government of Somalia. Hargeisa, 07 April 2016 – Foreign Minister Dr Saad Ali Shire welcomed a large delegation from Egypt led by Ambassador Mohamed Idris and Ambassador Walid Mohamed Ismail which included senior political, economic and security officials. Hargeisa, 07 April 2016 – Foreign Minister Dr Saad Ali Shire welcomed a large delegation from Egypt led by Ambassador Mohamed Idris and Ambassador Walid Mohamed Ismail which included senior political, economic and security officials. The visit of the Egyptian delegation comes in the wake of a recent visit by a Somaliland delegation to Egypt. The two sides engaged in a fruitful discussion which covered a broad range of topics of mutual interest and focused in particular on improving bilateral cooperation. Foreign Minister Shire reminded the Egyptian delegation of the historic and longstanding links that Egypt and Somaliland shared and looked forward to increased cooperation in the future. The Egyptian Ambassador Walid Mohamed noted how pleased he was with the welcome he had received and pledged to provide increased aid to drought-affected areas in Somaliland. He also informed about new educational scholarship opportunities for Somaliland citizens, and Egypt’s intention to boost transport, maritime and commercial links with Somaliland. Ambassador Walid s declared “we are aware of the historical relations and we are here today to establish a new chapter which will enhance the relationship between the two countries”. Waxa dalka jamhuuriyadda Somaliland soo gaadhay maanta, 5 April 2016, wefti ka socda dalka Masar. Waa markii ugu horreysay ee wefti sidaa u balaadhan oo arrimaha siyaasadda u socda. Waxa ay iskugu jiraan xoghayaha wasaarada arrimaha dibedda dalak Masar ee u qaabilsan Afrika, saraakiil militari. iyo xubno kale oo sar sare. Waxaa wanaagsan in Somaliland weftigan kala hadasho, dadka reer Somaliland ee lagu gawracay dalka Masar. ka dibna xubnihii lagala baxay. Waa in dawladda Masar,baadhitaan ay ku sameeyaan sidii dadkan loo dilay, ka dibna xubnahoodii lagala baxay. Dadkii falkan fooshuxumada ah ka danbeeyeyna sharciga la hor keeno.